[S15] George Edward Cokayne, editor, The Complete Baronetage, 5 volumes (no date (c. 1900); reprint, Gloucester, U.K.: Alan Sutton Publishing, 1983), volume II, page 129. Hereinafter cited as The Complete Baronetage. Her married name became Compton. After her marriage, Mary Beaumont was styled as Countess of Northampton on 24 June 1630. [S7558] Pat Callahan, "re: Rowcroft Family," e-mail message to Darryl Roger LUNDY (101053), 5 May 2015. Hereinafter cited as "re: Rowcroft Family." [S6] G.E. Cokayne; with Vicary Gibbs, H.A. Doubleday, Geoffrey H. White, Duncan Warrand and Lord Howard de Walden, editors, The Complete Peerage of England, Scotland, Ireland, Great Britain and the United Kingdom, Extant, Extinct or Dormant, new ed., 13 volumes in 14 (1910-1959; reprint in 6 volumes, Gloucester, U.K.: Alan Sutton Publishing, 2000), volume III, page 296. Hereinafter cited as The Complete Peerage. From 5 July 1647, her married name became Compton. 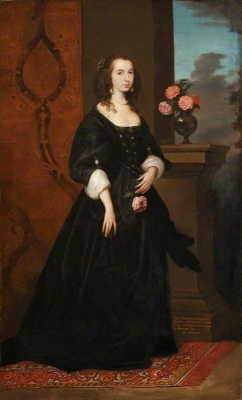 After her marriage, Lady Isabella Sackville was styled as Countess of Northampton on 5 July 1647. 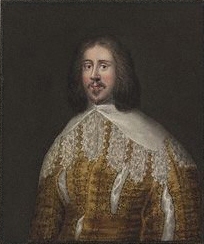 From 2 March 1612, her married name became Sackville. After her marriage, Mary Curzon was styled as Countess of Dorset on 28 March 1624.